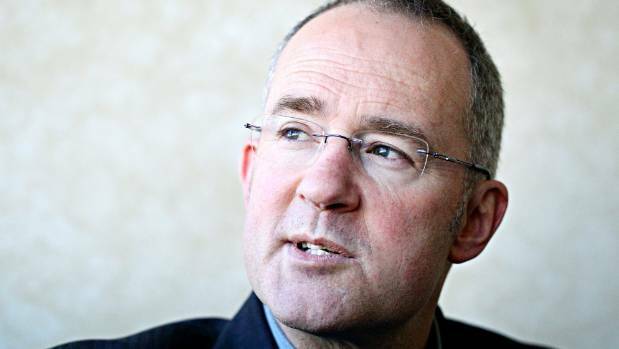 Transport Minister Phil Twyford said the report showed the benefits of investing in rail. New Zealand’s rail network has save the country $1.5 billion by reducing congestion wait times, accidents and emissions, a report has found. The total cost avoided by having passengers off the roads and on rail was $1.19b alone, according to consultancy firm EY. Their report was produced in 2016, commissioned by the New Zealand Transport Agency (NZTA) but the former government never released it. A year-old study, just released by the Government, shows $1.5b in savings of congestion and safety incidents, by having a rail network. 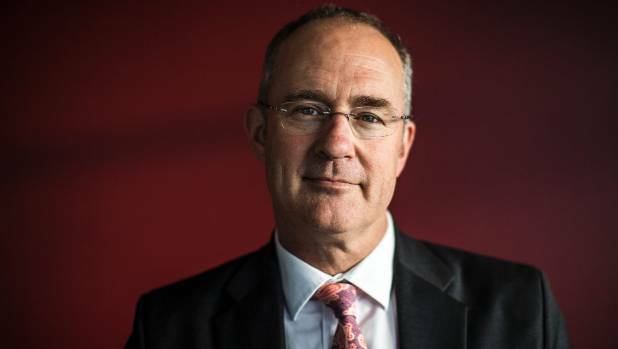 New Transport Minister Phil Twyford said the study supported further investment in rail, and reinforced the Government’s plans to do so. EY found the net benefits provided by passenger rail amounted to $1.2b in savings from reduced congestion, $8.2m in safety benefits and $3m in reduced emissions. For freight, there was an estimated total net benefit of $354m. “The implications of these findings for passenger rail is that the support it receives from subsidies (central and local government) is highly likely to be acceptable because passenger rail is calculated to add significant value by reducing congestion on Auckland and Wellington’s arterial roads,” the report said. 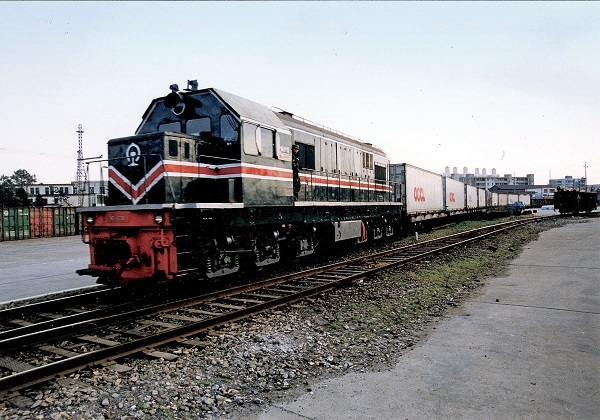 However, the study had a number of limitations across all measures, said EY, and a more analysis was needed to confirm freight rail’s benefits outweighed the subsidies afforded it by Government. The study also broke down the time delay costs for the two major cities; Auckland and Wellington. In the capital, it found that even with its passenger rail system, 19.8m hours worth of congestion came in at a cost of around $303m in time delay. In Auckland, the traffic situation was more complex. The net time delay cost was about $882m, and the report’s writers said that represented an 57m extra vehicle hours on Auckland roads. Twyford said rail was a “great way to travel and move cargo”. The Government would “restore balance” to transport funding and boost investment in rail infrastructure both for passengers and freight. 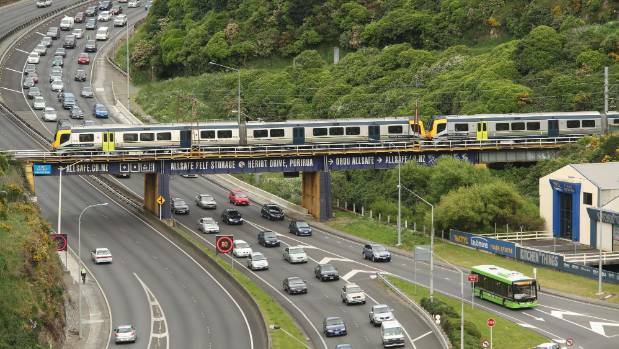 “The establishment of a light rail network in Auckland will significantly increase the $1.3b a year of benefits that road users, including freight companies, experience from reduced congestion,” Twyford said. 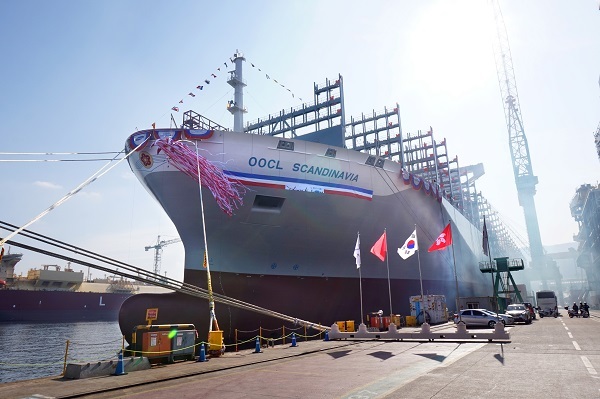 In OOCL’s series of six ‘G Class’ containerships on order at the Samsung Heavy Industry (SHI) shipyard, we are pleased to introduce the newest and fifth 21,413 TEU containership, named the OOCL Scandinavia, into our fleet of world trade ambassadors. According to the investment bank (IB) industry and shipping industry on November 15, HMM will order 20 large-sized container ships starting early next year. 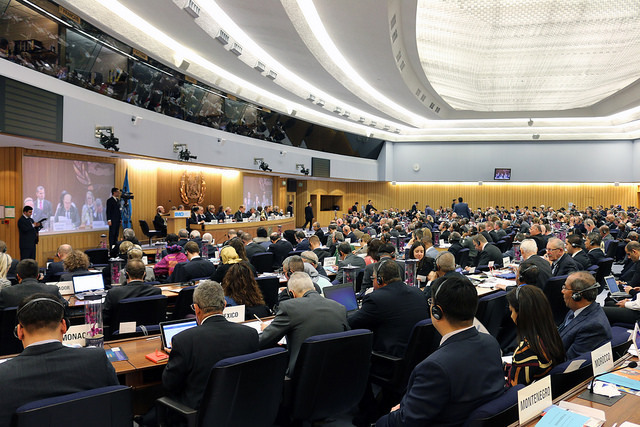 “HMM will order 20 large-sized vessels, including nine 20,000-TEU containerships and 11 11,000-TEU containerships for aggressive fleet expansion,” a high-ranking official in the IB industry said. “This strategy aims to deal with major shipping companies’ expansion through mergers and acquisitions and the introduction of super large ships.” This is twice the size of the order projected in the market (around 10 units). In terms of order sizes (350,000 to 400,000 TEUs), HMM’s order is double that (220,000 TEUs as of the end of October) of Maesk, the world’s top shipping company. Analysis says that HMM will ramp up the number of super large ships as a strategy to cope with the global division and congregation. HMM currently has 56 vessels and its capacity (maximum shipment volume) is 43,000 TEUs, ranking 13th in the world. On the other hand, Maesk which belongs to the 2M Alliance with HMM has a capacity of 3.55 million TEUs and MSC, 3.02 million TEUs, eight times that of HMM. In particular, next year, Japan is expected to merge its three major shipping companies (MOL, NYK, and K Line). Then the new shipping company established via the merger is expected to have a capacity of 1.7 million TEUs. China’s major shipping company Cosco (1.81 million TEUs) will finally marry OOCL (670,000 TEUs) of Hong Kong, which is the seventh largest in the world in 2019. Then Cosco’s capacity (including that of ordered ships) will exceed 3 million TEUs, jumping to second or third place in the world. In particular, China’s Cosco (Ocean Alliance) and Japanese shipping firms (THE Alliance) are expected to put 20,000-TEU containerships into the Asian market beginning next year. This means that HMM will not be able to compete in such an environment as the shipping company has a maximum capacity of 400,000 TEU and its largest container ship has a capacity of 13,100 TEUs. Around the year of 2020, nine 20,000-TEU containerships and 11 11,000-TEU containerships to be ordered beginning next year will be delivered to HMM. Then, HMM will have a capacity of more than 800,000 TEUs, about double its current capacity. This volume exceeds that of now-defunct Hanjin Shipping and close to 1,060,000 TEUs of Evergreen, the biggest shipping company of Taiwan. At the time of the final delivery of the 20 vessels ordered, HMM will raise the number of its over-10,000-TEU vessels from 16 to 36. As HMM’s long-term plan aims at securing a one-million-TEU fleet, the shipping company may order more super large containerships depending on future business performances. The days of views to the Waitemata Harbour being spoiled by rows of cars on the downtown wharves could be over under a new masterplan from Ports of Auckland. The port company has today unwrapped a draft 30-year masterplan for the 77ha of land it owns on the city’s doorstep, which includes a five-storey parking building topped with a 1ha waterfront park accessible to the public. The carpark and park could be connected to a five-storey hotel on Quay St at the city end of the port. The draft masterplan also includes plans for a 13m piled concrete extension at the end of Bledisloe Wharf, which the company says is essential for a new berth and the success of the other wharf projects. It says the extension of 1.25ha is less than 1.275ha of space it will lose by removing Marsden Wharf and cutting back a wharf on the eastern side of Bledisloe. The extension is bound to draw attention from critics of further expansion into the harbour for port use, but is in line with the recommendations of Auckland Council’s Port Future Study last year and smaller than previous expansion plans. Since the Herald started campaigning against a 250m expansion into the harbour in 2012, the port company has gradually shrunk back its plans. Two months ago, Ports of Auckland chairwoman Liz Coutts said it was no longer acceptable to reclaim more land. “We are listening. That’s the new us. We are serious about the way we behave and the way we change,” ports chief executive Tony Gibson told the Herald. Last night, Mayor Phil Goff said he did not support further extension of the port into the harbour. 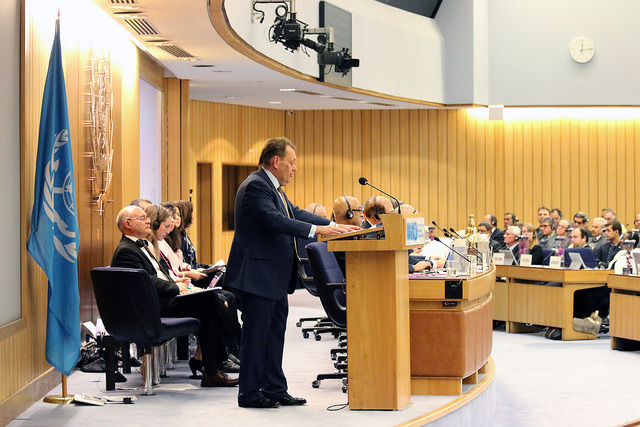 “This is a proposal only and needs to be subject to public discussion. Ultimately it will go through a consent process where public can make submissions,” Goff said. Gibson said the company accepted its owner, Auckland Council, was undertaking a project to relocate the port but finding the best location, getting consent, securing funding and building would take decades. “In the meantime, we need to ensure that we can continue to deliver freight for our import and export customers, and to Aucklanders. “In response we’ve developed a draft 30-year masterplan that we think balances Auckland’s economic, social and environmental needs…it creates space for freight and gives Auckland Council the time it needs to make a sound decision on where, when and how to move the port,” Gibson said. 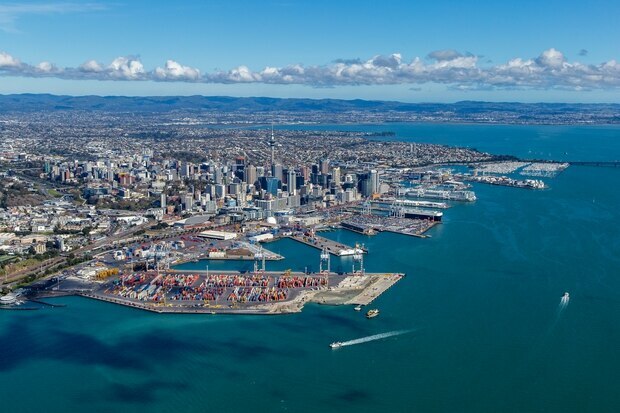 The masterplan addresses the day-to-day port business, including automation of the Fergusson container terminal at the Tamaki Drive end of the port, to provide additional capacity to serve a population of five million people. A 10ha reclamation of Fergusson Wharf, approved in 1998, will be completed by 2020. An architecturally designed new head office building and engineering workshop will be built facing the intersection of The Strand and Quay St/Tamaki Drive to improve aesthetics and provide a legacy if the port is moved. 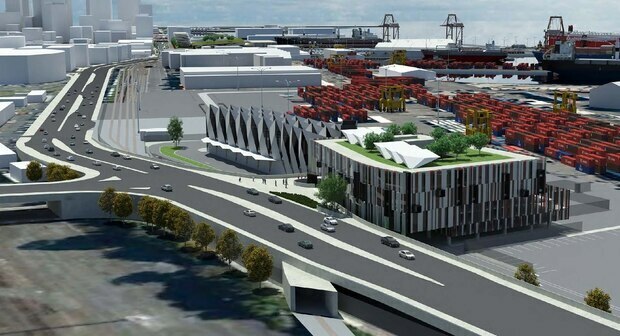 To address significant capacity issues on the general cargo wharves at the city end of the port, the company plans to build a five-storey carpark to hide away the 30,000 cars a month that come across the wharves. It could be built within five years. The carpark will free up space on nearby Captain Cook Wharf, which the council has been eyeing as the city’s main cruise ship terminal. It will require an extension at a cost of $50m to $100m. Gibson said by removing Marsden Wharf, one of several finger wharves at the city end, and part of Bledisloe Wharf, known as B1, will create nearly 1km of new general cargo berth space. He said the company wanted Aucklanders to be proud of their port and the projects outlined in the draft masterplan, which could be built over the next five to 10 years. “We’ve tried to develop a plan that fairly reflects the feedback we’ve received and also balances sometimes divergent wants and needs,” Gibson said.